View our current specials and check back often to see the best deals we have to offer. Hendrick Honda Bradenton is proud to offer some of the best Honda lease deals for shoppers in the Southwest Florida area. Now’s the time take advantage of Honda lease specials on new Accords, Civics, CR-Vs, Pilots, Odysseys and more. Leasing is a great way to keep your monthly payments low while you drive the new Honda you want. Our Bradenton, FL Honda dealership has a dedicated team of leasing professionals who would love to talk to you about crafting a Honda leasing plan that fits your needs. Just contact us online or call the dealership at 941-758-7997. One of our associates can give you all the details on what kind of Honda leasing specials are currently available and get the application process started for you. Honda lease specials are usually available on a limited time basis, so stop by Hendrick Honda Bradenton today located at 5515 14th St. W, Bradenton, FL 34207. Leasing a new Honda from Hendrick Honda Bradenton offers a variety of benefits versus purchasing a vehicle. The first and most important benefit is a low monthly payment. The monthly payment when you lease a new Honda is typically lower than one you get with a finance/purchase plan. Leasing terms are also usually shorter than traditional vehicle finance terms. 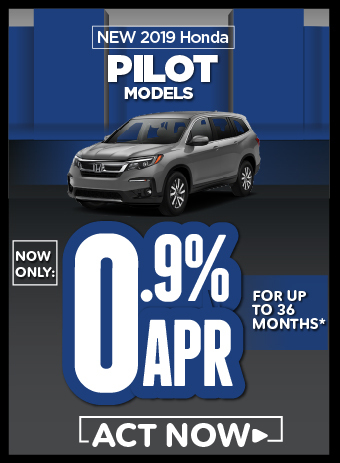 For Honda owners who like to upgrade to the newest and latest new Honda models sooner, this is a perfect option. Many Florida Honda shoppers also appreciate the fact that a lease isn’t a permanent arrangement. When the lease term is up, they can walk away and not have to worry about what do with their vehicle or how to sell it. These are just a few of the perks that a Honda lease can provide you with. If you’d like to learn more about all the benefits of leasing, Hendrick Honda Bradenton has leasing specialists available to speak with you. Contact us online or call the dealership at 941-758-7997 and ask to speak with someone about our current Honda lease specials. They’ll give you all the information you need to make the right decision about whether leasing a new Honda is the right choice for you. If you are interested in leasing a new Honda from Hendrick Honda Bradenton, then head directly to our dealership located at 5515 14th St. W, Bradenton, FL 34207. You can take your pick from our giant selection of new Honda models and get all the details on what kind Honda lease specials are currently available. Now is the time to act since our Honda lease deals are usually time sensitive. 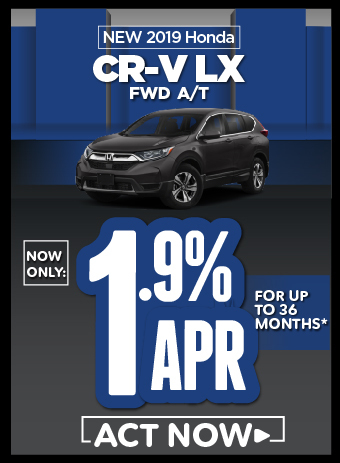 Don’t miss a great opportunity to save with a low Honda lease at our Bradenton, FL Honda dealership! Copyright © 2019 Hendrick Honda Bradenton. All rights reserved. Hendrick Honda Bradenton is a full service dealership that is one of the leading Honda dealers in Southwest Florida. Offering drivers dependability, top safety features, the latest in automotive technology, and automotive choices with impeccable gas efficiency, Hendrick Honda Bradenton is the dealership for you! Test drive a new Honda today at Hendrick Honda Bradenton. Find deals on top favorites like the Accord, Civic, CR-V and Pilot. Your satisfaction is our goal! When it comes to high quality, competitively priced used cars in Southwest Florida, you don't have to compromise quality when you buy a used car from Hendrick Honda Bradenton. Call our friendly staff today to learn about our latest Honda specials, test drive a car, get details on any vehicle, request a brochure, discuss your trade-in or even talk financing on your next car. We are here to help you. Still deciding on which Honda you’d like to be driving? Are you comparing lease programs or internet specials? Maybe you simply want the best price on a new or used car? For all of that and more, look no further than Hendrick Honda Bradenton. Our team is professional, offers you a no-pressure environment and operates with the quality you expect from the Hendrick Automotive Group. We strive to maintain a huge inventory of Certified Pre-owned and used vehicles. Get a used car in Southwest, Florida that has been through a detailed inspection by our auto technicians and will run like new for many years to come. If you don't see a particular vehicle, click on Contact Us and complete the form. We will gladly inform you when a matching vehicle arrives.